Pre-register now for 2019 Hong Kong 7's - due to be released October 2018! Join us at one of the most popular Sevens tournaments on the planet, the 2019 Hong Kong 7s! Hong Kong is the ultimate destination for all Sevens fans, providing partying, shopping and of course 3 massive days of action at Hong Kong Stadium. Break out your best dress up costume and join tens of thousands of fans from all over the world enjoy this great event. 2018 was the 43rd edition of the Hong Kong 7's and saw Fiji romp to their 4th successive Hong Kong Sevens title. The dominant Fijians proved way to powerful on Finals day romping to victory over Kenya 24-12 in the Cup final. Fiji were dominant throughout the tournament, including a 50–7 thrashing of New Zealand during pool play. Packages to the Cathay Pacific/HSBC Hong Kong Sevens 2019 include a minimum of four nights accommodation at a range of hotels located on Hong Kong Island, with a three day match ticket to the event and return airfares flying Cathay Pacific. Packages & package prices are due to be released in October 2018. Match tickets are guaranteed and sourced from Cathay Pacific Airways through the 'Fly and See' packages. Package prices include flights to Hong Kong from Melbourne, Sydney, Brisbane, Perth and Adelaide. Getting to the Hong Kong Stadium is quite easy from our hotels with the MTR (Rail System) running to the Stadium from many locations throughout Kowloon and on Hong Kong Island. iClub Fortress Hill - these hotels are located on Hong Kong Island in the district of Fortress Hill. Fortress Hill MTR station is 2 stops from Causeway Bay which is the station closest to Hong Kong Stadium (Island Line). Novotel Century & Grand Hyatt Wan Chai - this hotel is located on Hong Kong Island in the district of Wan Chai. Wan Chai MTR station is 1 stop from Causeway Bay which is the station closest to Hong Kong Stadium (Island Line). Regal Causeway Bay - this hotel is located on Hong Kong Island in the district of Causeway Bay. This hotel is within walking distance to Hong Kong Stadium. View our 2018 Hong Kong 7's hotel locations & MTR metro stations here. Pack your bags and get ready to travel to one of the hottest events of 2019 for a weekend you wont forget! 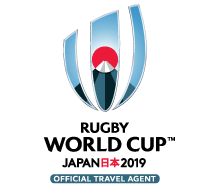 ‘Fly and See’ 2019 Rugby 7’s packages have been sourced by Cathay Pacific. The following questions have been uploaded to assist us with planning which packages our customers prefer. Please note that this is not binding & only an indication of what you would be interested in. To register your interest for this tour & upload your preferences you must be registered as a member of this website. If you are a member & not logged in yet, click here to log in. I am interested in attending the 2019 Hong Kong 7's? How long are you interested in staying in Hong Kong? Are you interested in staying Hong Kong Island or Kowloon (mainland)? What standard of accommodation are you interested in? Tick this box to be emailed once this tour is finalised & before it goes on sale.